You can download the source code by clicking on the "Clone of download" button. P.S., In case you are interested, the attached work-in-progress FLIGHT.EXE uses the bottom status bar to show the airspeed in both Knots and Mach. Hit the '4' key or Alt+H to change from one unit of measurement to the other. 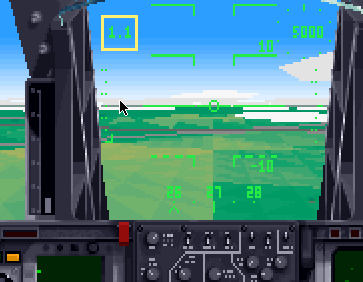 The Mach/Knots value in the simulation is also shown on the HUD when you hit Alt+h.